DEAR MAYO CLINIC: What is better for sun protection: a chemical sunscreen or a physical sunscreen? Is it really necessary for me to wear sunscreen even if I work in an office all day? ANSWER: Both chemical and physical sunscreens offer effective sun protection when applied correctly. Physical sunscreens usually are less expensive than chemical sunscreens. 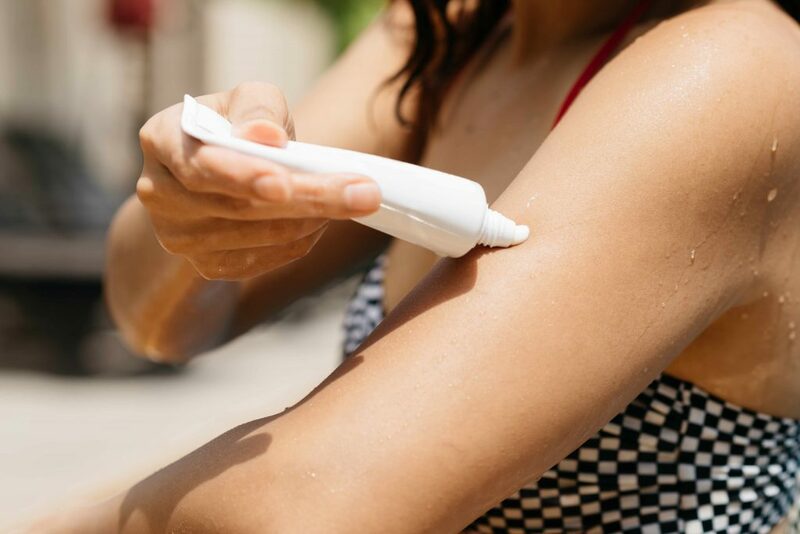 Given that they also are hypoallergenic, physical sunscreens may be a safer choice for some people who have sensitive skin. It is a good idea to wear sunscreen every day even if you work indoors. Sunscreen protects your skin from the sun’s ultraviolet, or UV, light. There are two types of UV light that can harm your skin: UVA and UVB. UVA is the long wavelength of light that penetrates to the deep layers of skin. UVA leads to skin damage over time that can prematurely age your skin, causing wrinkling and age spots. UVB is the shorter wavelength of light that penetrates the surface of the skin and causes sunburn. The best sunscreens offer protection from all UV light. These are labeled as “broad-spectrum” or “full-spectrum” sunscreens. Physical sunscreen literally blocks UV light from reaching your skin by either reflecting the light or absorbing it. These products contain zinc oxide or titanium dioxide. Some people don’t like to use physical sunscreen, because it remains visible on the skin after you apply it. It also can be hard to wash off. However, physical sunscreen provides significant, lasting protection from UVA and UVB light. It also tends to be less irritating to the skin than chemical sunscreens. That can be particularly beneficial for younger children and individuals who have sensitive skin. Chemical sunscreens work by absorbing the UV light and causing it to undergo a chemical reaction that prevents it from damaging your skin. Many chemical sunscreens are available. As you choose sunscreen, check its sun protection factor, or SPF. This number gauges how well a sunscreen blocks UVB rays. Experts agree that an SPF factor of 15 is the minimum needed to prevent skin damage from UVB. Sunscreens with SPFs higher than 50 provide only a small increase in UVB protection, compared to SPF 30 or SPF 50. That means high SPF sunscreens, such as SPF 100, may not be worth the added expense you pay for them when compared to the protection they offer. The key to getting the full amount of SPF protection from sunscreen is applying it generously and frequently. Most people simply do not apply enough. For example, about two tablespoons of sunscreen, or about enough to fill a shot glass, is only enough for your face, your neck and the back of your hands. Apply sunscreen generously to the rest of your exposed skin as well. Reapply sunscreen at least every two hours, or more often if you’ve been sweating or swimming. A sunscreen may be water-resistant, but no sunscreen is waterproof. To best protect your skin from UV light, wear sunscreen every day, even if you spend much of your time indoors. For the days you spend in your office, using a cosmetic product that contains sunscreen, such as moisturizer or aftershave, is all you need. When you spend more time outdoors, however, use a stronger form of sunscreen and reapply it at least every two hours.